Each year Spitalfields Music runs its summer and winter festivals while also supporting musicians and reaching out to residents of Tower Hamlets in London. Tickets for concerts start at £5, and if you live in Tower Hamlets there are also free tickets available. As Michael Keating, a member of the board of Spitalfields Music, explained as part of his mid concert fundraising speech, this is their 25th year of bringing music to the borough, in schools, nurseries, and community centres. Riding on their success they are starting work in other areas of the East End, including Newham, Barking and Dagenham. 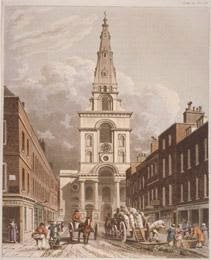 The Sixteen directed by Harry Christophers performed last Saturday (6th December) in the venue where Spitalfields Music first started all those years ago – Hawksmoore's chocolate box, Christ Church. One of the prettiest churches in London, ten years ago it was restored to its 18th century elegance, at a cost of £10 million, and is now a much prized venue for events as well as retaining its original function as a place of worship. 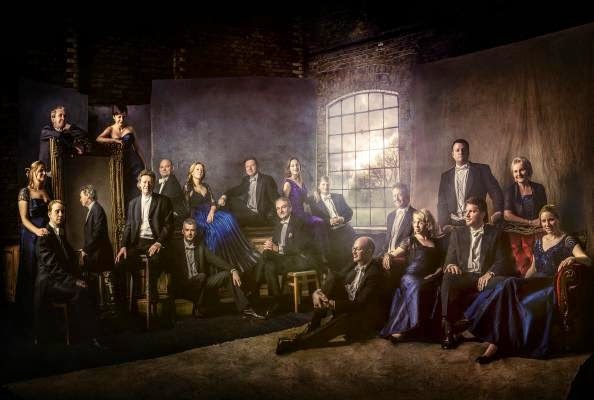 Bringing their own elegant and individual sound The Sixteen sang a selection of old and new Christmas music - interspersing carols and anthems with parts of Palestrina's 'O magnum mysterium' mass. The earliest music was 16th century – Giovanni Pierluigi da Palestrina (1525-1594) and Tomás Luis de Victoria (1548-1611). The Sixteen compared these composers' 'O magnum mysterium' anthems to that by Morten Lauridsen (1943). Each of the composers had their own approach - the Victoria is in four parts, the Palestrina in six and the Lauridsen in eight (if you include all the split chords), and the performers made the most of the differences contrasting the shimmering harmony of the Lauridsen with the imitation of voices in the version by Palestrina, and the ever changing Victoria with its faster 'Alleluia'. The problem with performing such well known works is that, while it is a delight to hear them live, everyone has their own favourite interpretation. The Palestrina was lovely - but I felt that the Victoria 'Alleluia' could have been brighter and that, by keeping a beautiful even sound throughout, they sacrificed meaning. Similarly the Lauridsen was at times unbalanced, and could have done with more bass, but ended well. Other works by Palestrina were 'A solis ortu cardine' and 'Magnificat quarti toni' and showed off the famous Sixteen balance and sound. The reverb in Christ Church boosted the voices yet without causing them to blur – perfect for vocal polyphony. The more modern pieces performed included the well known carols 'In the bleak mid winter' by Gustav Holst (1874-1934) and 'O little town of Bethlehem' by Ralph Vaughan Williams. The 'Gloria' section of Reginald Jaques' (1894-1969) 'Angels from the realms of glory', with its deep bass line was - well – glorious and H Walford Davies' (1869-1941) 'O little town of Bethlehem' was a sensitive reworking of the traditional tune. The choir brought out some elements that gave hints of the original, especially at the start of lines, for example 'the hopes and fears', which would then meander on elsewhere. Other modern works were 'Bethlehem down' by Peter Warlock (1894-1930), 'The holy boy' by John Ireland (1879-1962), 'A Christmas carol' by Charles Ives (which was remarkable traditional, but with stylistically repeating upward intervals) and 'My lord had come' by Will Todd (1970-), written in 2011. Finally (although it was the first song sung) was 'When Christ was born of Mary free' by John Gardner (1917-2011) which very effectively blended Gregorian chant from the men with an Anglican carol by the ladies. The concert was rounded off by an encore of 'Quem pastores'. Here the choir split into four mini-choirs, each singing a line in turn finally all singing together for the last verse. The arrangement sung had the shortened second to last note from the sopranos resulting in an interesting suspension. I was expecting that the third verse would be more complex – but the choir kept it simple leaving the change for the tutti verse. The winter festival runs until the 16th December so there is still plenty more to see. Concerts range from classics to new and experimental, using professional and community performers. Also The Sixteen currently have a charity single available with proceeds going to Crisis who help, and campaign for change to help, homeless single people.